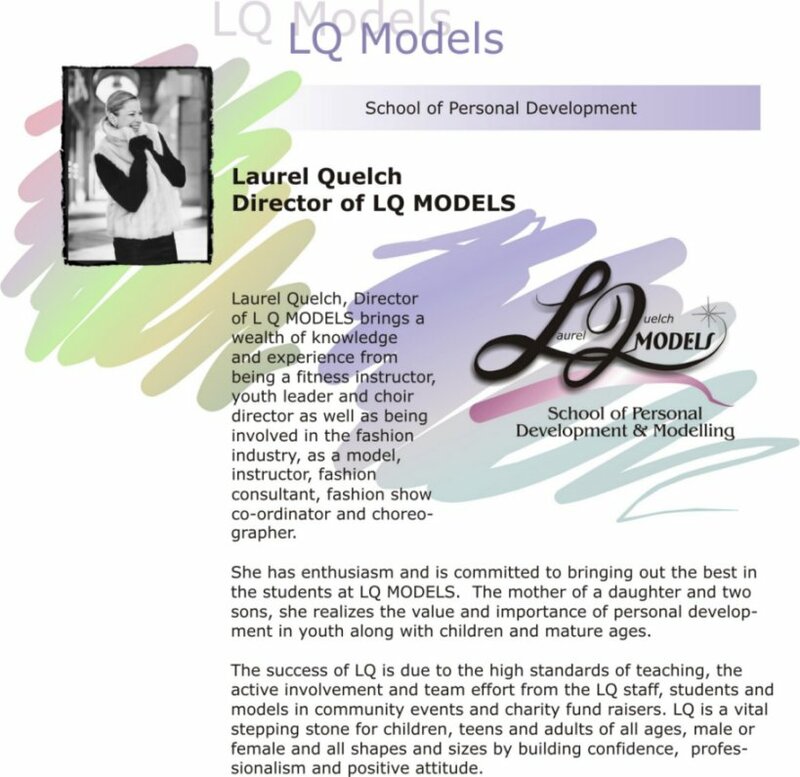 With LQ MODELS, you will learn that today there is a whole new meaning to the word "Beauty". Taking care of the way you feel as well as the way you look become new priorities. Without this responsibility you cannot meet your other responsibilities. When you are faced with the demands of work, school, home and an increasingly active lifestyle, self priorities have to be high priorities. What you obtain from this course will be measured by what you put into it in terms of effort, time and the sincere desire to improve. The more you give, the more it will give back to you. "The Contemporary Teen,/Women and Advanced Modelling" has been designed for you.